Finally! 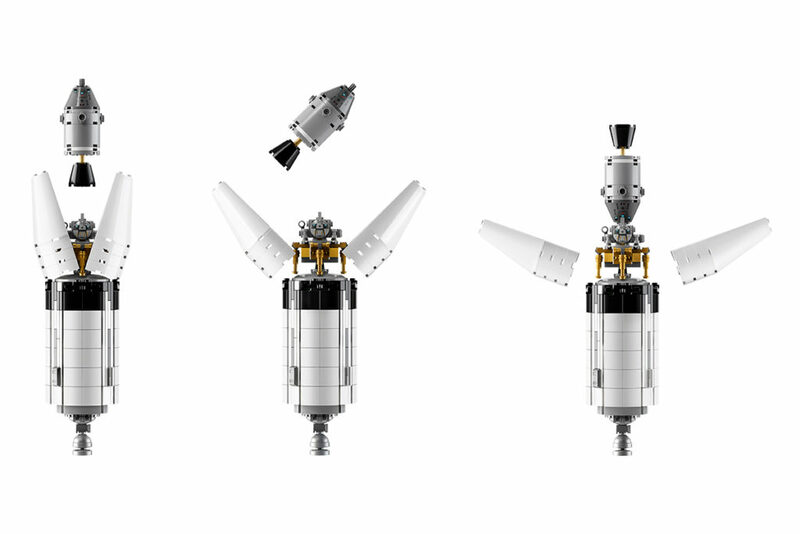 After a year of secrecy and a few little teaser images, last night LEGO Ideas announced and revealed the next LEGO Ideas set – 21309: NASA Apollo Saturn V, designed by Felix Stiessen (saabfan) and Valerie Roche (whatsuptoday). 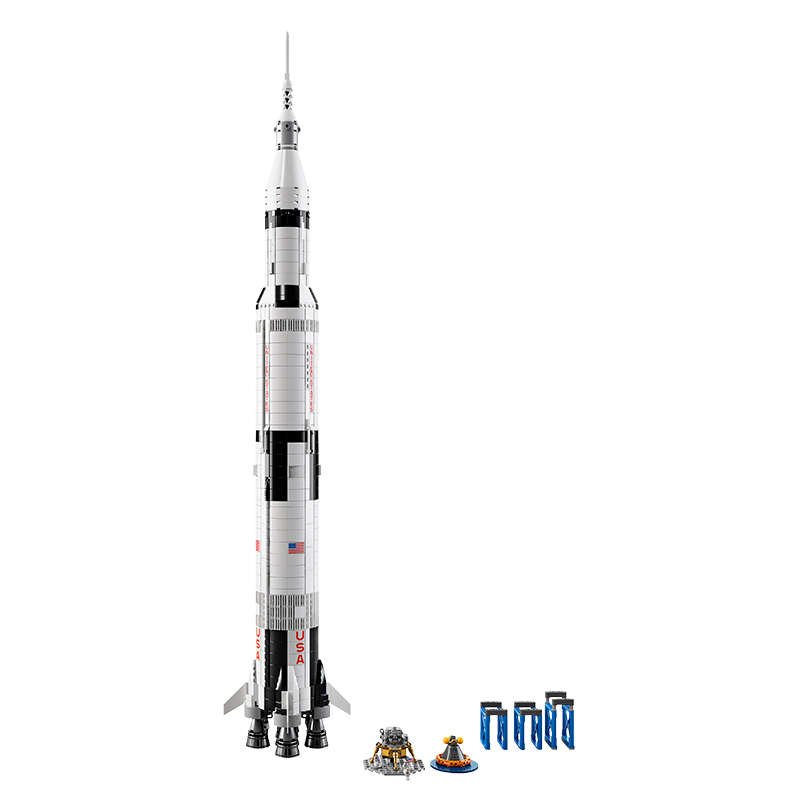 Fully built, this monster stands 1 metre tall (1:110) and is not only the tallest LEGO Ideas set ever produced, but the biggest, with 1969 elements included. I love how the team has managed to keep the number of elements as the same year that the moon landing occurred. Brilliant! 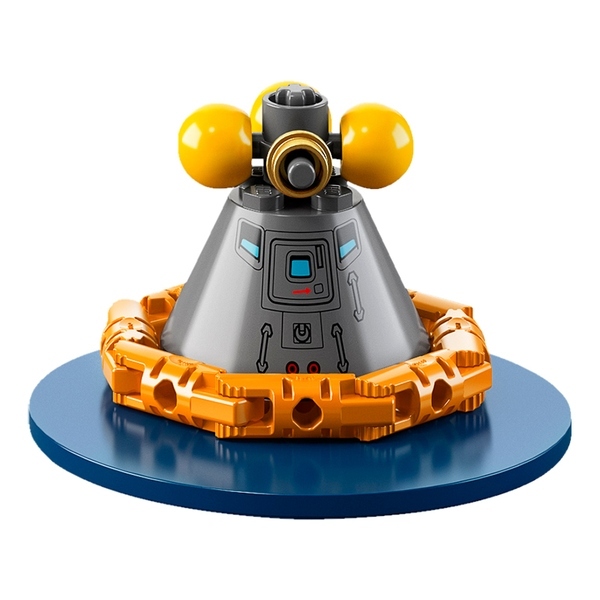 According to the LEGO Ideas Blog, the set will retail for USD 119.99 / EURO 119.99 / GBP 109.99. That’s actually not too bad. It will be available for purchase from June 1, 2017. With 10257: Carousel being released on that day too, I think the shops will be busy! 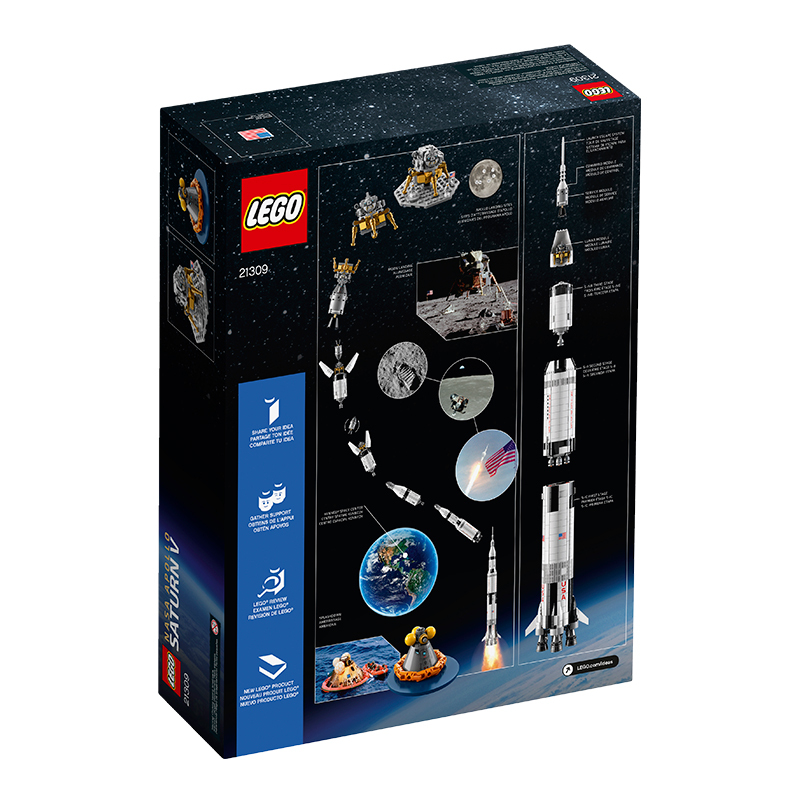 EDIT: The Australian price for this set has been set at $169.99. That’s brilliant! I’m really looking forward to this set – the teaser images that were released recently make the anticipation build, and seeing it complete is really exciting. 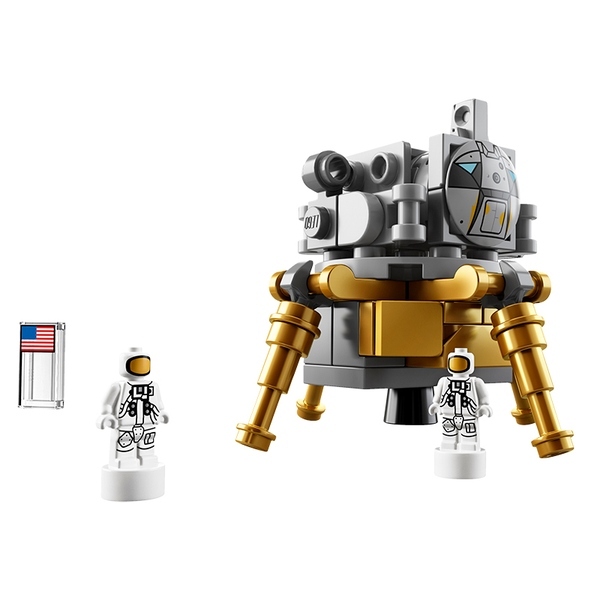 There are some great little details, including the stands to display it horizontally (good if you haven’t got a metre high shelf) and the three new astronaut microfigures. It’s also exciting for budding designers. This project was massive, and I reckon not many people thought it would get through on size alone, so knowing that it’s possible must be a boost for all those designers that have had some larger scale ideas. 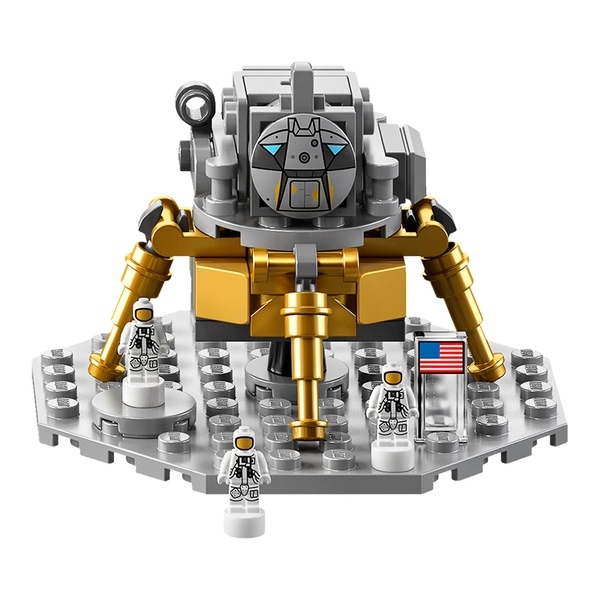 I love the Lunar Module, and the landing capsule looks incredibly accurate – the floatation devices look spot on! What is really interesting though, is that there’s an illegal connection included in the set. An illegal connection is basically a connection between two elements that causes extra stress in the bricks. Inserting a stud into a Technic hole, or in this case, wedging a tile between two studs (the flag). Back in 2006, when Jamie Berard was a relative newbie to Billund, he gave a presentation at Brickfest 2006 about why certain techniques are considered to be ‘illegal’, and this was included. I’m really surprised that LEGO allowed it through. I’m glad they did though, because it looks extremely effective! 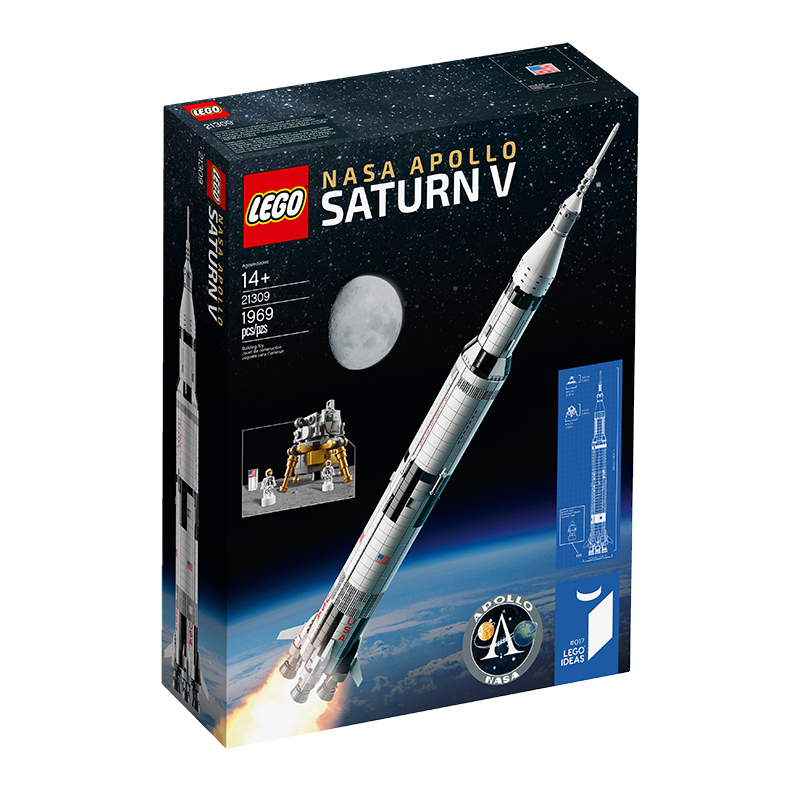 So, are you picking up a copy of 21309: NASA Apollo Saturn V? Let me know your thoughts in a comment!